With Ken Dryden's announcement, we now have the group of ten who will form the main contenders in the Liberal leadership race (baring surprises...c'mon Hedy!). Campbell Clark had a good run down of the candidates here. And, despite claims that the "big names" didn't want to run, there really is something for everyone in this field. There's no dauphin in this race and anyone who tells you they know who will win this thing is full of themselves (that's your cue Toronto Liberal!). Instead, we have ten candidates from incredibly diverse backgrounds, with very different positives and negatives. A lot of them are unknown and, looking back at my leadership speculation from last summer, it's pretty obvious that few of them were on my, or anybody else's, radar screen a few months ago. But a lot can change between now and December. Should be fun. Update: Ken Dryden gets on HNiC tonight, thereby giving him an infinitely larger audience for his launch than all the other nine put together. Gerard Kennedy has officially jumped into the leadership fray, with Ken Dryden to follow suit tomorrow. While I would have preferred to see Kennedy's launch in Winnipeg to play up the Western angle, the last campaign to launch out of Manitoba was probably Louis Riel's and that one ended rather poorly. The optics of having a dozen MPs standing behind Gerard, with Parliament in the background, are very positive considering he might be perceived as an anti-establishment outsider in some circles. As for the launch itself, Kennedy hit upon the key themes of his campaign: Enterprise, an internationally competitive Canada, immigration, and Liberal Party renewal. And anyone who mentions my all time favourite Liberal, Mitchell Sharp, in their campaign kick-off speech always gets bonus marks from me. Although I've been critical of a lot of Conservative policies (OK...all Conservative policies), this is one idea which I really do like. Obviously it doesn't make a lot of sense in a minority government situation, but there's no reason not to have fixed election dates when majority governments have been elected. Just from an internal party perspective it makes things a lot easier with respect to timing conventions and nomination meetings. The guessing game parties have to go through for candidate nominations is hell, and having a real timeline as to when the next election is would be a huge benefit. It would also eliminate the asinine media "will they or won't they" media speculation as to when the election call is coming. And it would remove a major benefit of incumbency and prevent the five year stretch terms when the current government is floundering in the polls (*cough*MulroneyCampbell*cough*). So good on the Tories for proposing this. Hopefully the other parties will be supportive. I was going to comment on the whole flag fiasco but Rick Mercer has waded in with ten times the post I could ever write on the topic. So, yeah - what Rick said. For better or worse, Bob Rae is off and running in the Liberal leadership race. While a lot of people are questioning the motives of Rae's supporters, I tip my hat to them. The Liberals backing Rae can say that they have been with him since the day he became a Liberal Party member, which shows dedication. Rae is also set to launch his website, going with the slogan "call me Bob". Bob has wisely decided to put the bad connotations of "Rae" behind him. I consider it a worrisome sign when a candidate is running from his own name. In other leadership news, Carolyn Bennett has launched and has the best website of the bunch. Bennett even has her own Blackberry blog, which is a cute idea. Also in the race is Scott Brison, a talented politician with a very bright future in the Liberal Party. Scott, for obvious reasons, does not have a Blackberry blog on his site. Sure, the Liberal leadership race has gotten a lot of ink and there's a lot of buzz about Preston Manning and the provincial PC race out here. Prince Edward Island's New Democrats have chosen a new leader. Dean Constable, a 26-year-old stage manager from Charlottetown, beat out 53-year-old Michael DesRoches, who works with child and family services. Mr. Constable says he received 29 votes to Mr. DesRoches's 19 in the one-member-one-vote leadership convention in Summerside on Saturday. Now that Ralph Klein has been neutered by his party's membership, I doubt we'll see a lot of bold ideas from him as his time in office withers away. Not that that's new. On the bright side, Klein has backed down from the most controversial elements of his "third way" healthcare reforms. While he couldn't land Jim Karygiannis, Gerard Kennedy has assembled an impressive team of young MPs to back his leadership bid. Feel free to check out the Globe story which is a good story, by the mere definition that it makes my guy look pretty good. I was forwarded this e-mail about a David Orchard event going on in Alberta tonight. It seems David is doing the whole West Coast blitz, so I'd certainly consider him as a possible LPC leadership candidate at this point. Thanks for the ideas and suggestions for the venue for David's meeting with friends and supporters. We chose the *Student Union Bldg of the Taylor University College and Seminary at 11525 ­ 23rd Ave, for April 20 at 7 pm*. (very cheap).There is plenty of parking on the campus, and the entry is from Saddleback Road. You can see the facility at http://www.taylor-edu.ca/about/ourcampus/facilities.htm, and there is a map there that you can click for the details. The meeting room is a big room opposite the library. David is flying from BC earlier that day and will return to Saskatoon later on Friday, to attend an anti-nuclear conference in Saskatoon on the 22nd (http://www.icucec.org), and then meet with supporters on the 24th. He is also a guest speaker at a Liberal party event later that week, presenting his vision for Canada. I will be sending an e-mail notice to all within a travelling distance from Edmonton, and we will have to call quite a number of people. If anyone of you can call people about the meeting, please let me know and I'll get you a list of names. And if you can help in some way at the meeting, let me know, too. "le ciel est bleu, l'enfer est rouge"
Background: Born in Quebec City, Dion has an alphabet after his name on his wikipedia bio (PC , MP, BA , MA , Ph.D.), so one imagines he's fairly well educated. He taught political science for 12 years at the Universite de Montreal, before entering politics. Political History: Dion was one of the wise men brought in by Chretien following the referendum scare in 1995. As Intergovernmental Affairs, Dion drafted the Clarity Act, often considered Chretien's largest legacy. He also earned a reputation for writing articulate letters to Premiers, in the days before we simply gave them whatever they wanted. After being bounced from the original Martin Cabinet for Jean Lapierre (*shudder*), Dion earned the Environment Portfolio following his help in the 2004 election. He is now Foreign Affairs critic for the Liberals. Potential 2007 Election Documentary Title: "Harper vs. Dion: Revenge of the Nerds." Rejected Endorsement: If the short lived "Draft Dion" blog is any indication, one imagines he won't have Paul Wells giving him too many introductions. Pros: More experience in the federal government than the rest of the field put together. Extremely thoughtful. Well respected by most Canadians. Is from Quebec. Cons: His English isn't sensational. Might be seen as too ancienne regime. Sometimes considered to be "not emotive". Is from Quebec. In Person: Dion's a bright guy and I've always been impressed with him when I've met him in the past. He won't rely on platitudes and gives honest, well reasoned answers. He gets flustered in English at times when caught off guard, but most Liberals who have gone to Dion events over the past few weeks have left with nothing but nice things to say about the guy. My Take: Dion is a gutsy intellectual who I've always admired as a politician. I don't necessarily agree with all of his decentralizing policies but the Clarity Act and his firm refusal to give in on the fiscal imbalance is certainly policy I deeply respect. And, much like Ignatieff, Dion can be counted on for well reasoned policy, even if it's not always exceedingly popular. At the same time, I like the "sustainable environment" focus to his campaign but, then again, who isn't pro-environment in this race? Dion has more experience than most of the field and has always been a loyal soldier to the leader, whomever that may be. And despite a decade in elected office, he's been relative untouched by scandal or controversy. The only drawback I see to Dion is that he isn't a great politician and I seriously doubt he could beat Harper. But that alone shouldn't disqualify him since politics is a funny game and if Harpr can win, I don't see any reason a francophone Liberal version of Harper couldn't. The only real reason I'm not supporting Dion is because I truly believe that Gerard Kennedy is what the Liberal Party needs right now - Dion is still number 2 on my ballot. Chances: Mark Marrissen, of Team Martin fame, is rumoured to be his National Campaign Manager, and Don Boudria has signed on board. He likely won't be top 3 on the first ballot but Dion is another guy who could turn out to be the "consensus candidate" at the convention. He's in the group of 4 or 5 who can win this thing. In a report of a private conversation making the rounds among Liberals, Emerson told a former associate recently that he is shocked by the Harper government's fierce adversarial approach. The main aim of the government seems to be to make the Liberal opposition look bad, he reportedly remarked. "They really hate the Liberals." This is a brilliant media stunt for Harper, all the more so because it's genuine. The cowboy hats and burger flipping last summer was a disaster because Harper hated it, but talking hockey on TSN is a way he can relate to Canadians without being out of his element. Why do Canadians like Stephen Harper? Even though he's smarter than most of us, he seems like an average guy and I have no doubt that he got a huge kick out of talking hockey for five minutes instead of droning on about accountability acts and GST cuts. The Liberals would be well served to pick a leader who Canadians can relate to, or Harper is going to steamroll to an easy win next election. -Via Cherniak, I found this pretty funny. Hopefully Gerard's launch won't feature "we're going to St. John's, then we're going to St. John, then we're going to Victoria, then we're going to Red Deer, then we're going to Moose Jaw, then we're going to take back Ottawa - Yeeeeeeeearrrrrrhhhhh!!!" At one point Chuck Strahl, the agriculture minister, joked that thousands of farmers protesting outside had every right to expect action from a Conservative government "because they certainly didn't get any from the last government." Strahl's colleagues gave him a standing ovation. Emerson joined the ovation. Basically Emerson was applauding the assertion that he belonged to a do-nothing government. Later he professed to "shake my head at the hypocrisy" of another MP. He will provide barrels of fun for a long time to come. -The Hill Times has an article on federal MPs who might jump to the provincial PCs if Preston Manning runs. For what it's worth, I think Manning should run provincially. He'd actually bring some substance to the race and would make Paul Martin wannabe Jim Dinning work for it. -The Globe has the run-down on the campaign launch dates. I'd say we're looking at a group of ten candidates consisting of: Ignatieff, Kennedy, Dion, Dryden, Rae, Brison, Bennett, Findlay, Volpe, and Bevilacqua (Maybe toss in Hedy Fry and/or Denis Coderre too). For all the talk about the "big names" opting out, I think that's a pretty solid field. -Oh, and this is almost a week old, but Rick Mercer in bed with the Liberal leadership candidates...gold! "I have a friend who has worked very closely with Martha Hall Findlay and he assures me that Martha is an ungodly horror to work with. She never flushes the toilet in public restrooms and gives out dental floss to kids at Halloween instead of candy. "I have heard from people who know Martha Hall that she rips the wings off of pigeons in the park, so that she can watch them suffer. My candidate, Carolyn Bennett, would never ever do that and she is going to win on the first ballot! -A well connected Ottawa Liberal"
So, as a public service announcement, ignore the trolls (except for "Toronto Liberal", who is, truth be told, pretty darn funny). When stuff like this is among the Globe's top stories. While I'm hesitant to bump the 150+ comments in the Gerard Kennedy post further down the page, I have two little tid-bits I'd like to post this morning. "I did not see any memo or any papers saying, 'please appoint this person,' " Huguette Guilhaumon said. "I know it makes for a good story in the paper. But it's a non-story. Everything is kosher and clean." Well, at the very least the Tories are smart enough to not have memos saying "please appoint this person". I'll give 'em credit for that. However, Pat Martin takes direct aim at the claim that everything is "kosher", calling it "a pure patronage pork appointment". The other potential candidates expected to throw their names into a wide-open race barely rated a mention. Nova Scotia MP Scott Brison was named by 1 per cent - about the same proportion that suggested comedian Rick Mercer; and MPs Joe Volpe, Carolyn Bennett and Maurizio Bevilacqua rated even lower. John Godfrey pulls out of the leadership race, due to health issues. This is really too bad and I hope John's health concerns aren't major. He was probably one of the most impressive candidates from last weekend in Edmonton and we got to talk a fair bit in the hospitality suites (I'll give him credit for actually having a beer in his hand). He also performed very well during the "debate" on Saturday, so it would have been a big plus to have a candidate of his caliber in the race. I was a little bit surprised when I got the e-mail from Ignatieff's people offering me a one-on-one interview with the man over the weekend at the LPCA convention. But, as I've said before, a lot of Liberal delegates read blogs and online news sites so it only makes sense to try and spread the word through them. I went into our Sunday morning interview with about three hours of sleep so I'll apologize if the questions aren't particularity insightful or if I misinterpreted anything he said. I also resolved to ask Ignatieff questions on topics he might not have been getting elsewhere. 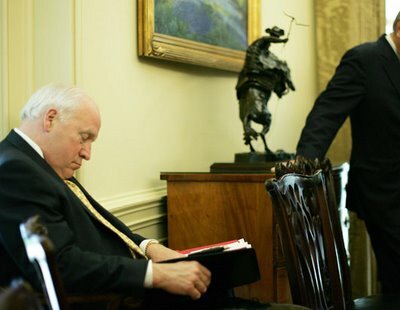 I only had fifteen minutes and I didn't really want to waste it listening to the talking points on Iraq, or torture, or his thirty years out of the country - I'm sure everyone has heard him answer those questions at least a dozen times by now. With that in mind, here is a question by question recap of the interview. We, of course, had to discuss blogs to a certain extent. Michael himself doesn't read blogs, but his wife is apparently well versed in the blogosphere and frequently "breaks the bad news" to him about what people are saying online. He also admitted to being "politically naive" when he announced he would run for MP at the Death by Chocolate fundraiser this fall, not expecting it to leak out before the official announcement on Friday. Question 1: If you could choose to have a conversation with any Canadian, living or dead, who would it be? This was the only question which seemed to stump him a bit and he seemed a tad surprised, before finally settling on Glen Gould, who he called an "authentic genius". He didn't really elaborate on why, so I'll leave it to everyone else to analyze this answer and find the hidden meaning behind it. Question 2: You're known as an intellectual. Do you have any non-academic pastimes or hobbies? TV shows you like? Sports you watch? I'll admit this was about as fluffy as questions get but this was something I was genuinely curious about. Iggy revealed that he is a big sports junkie and is a huge baseball fan (I'm sure this comment will be held up by his detractors as proof that he is American). His favourite teams are the Red Sox and White Sox, so it's certainly been an exciting few years for him. He also said he was a Habs fan and that Jean Beliveau (I wish he'd said Ken Dryden) was his hero growing up. Question 3: In your vision speech, you say the following: "The federal government does not possess a monopoly in foreign affairs but it is appropriate for it to coordinate Canada's external presence to work together with provinces to ensure that Canada speaks with one voice, even if the voice that speaks for Canada comes from a province." Could you clarify what you mean by this? Ignatieff started by saying that Harper's plan for giving Quebec their own delegation at UNESCO wouldn't even be allowed and that Harper knows it. However, he sees a role for provincial input into several foreign affairs groups. The example he used was allowing the Alberta Energy Minister to present Canada's position or to be in the delegation for international economic groups. He sees a role for this type of relationship in several fields. Question 4: Do you support a new round of constitutional talks to get Quebec's signature on the constitution? Iggy doesn't see the need for it right now and would like to avoid a return to Meech and Charlottetown type discussions. But, yes, in the "medium term" he would be willing to open up the constitution. At this point, we were interrupted by a waiter who came up and said that he was shocked that he had a chance to meet "the next Prime Minister" (Ignatieff, not me). After some fawning praise on Michael, the man left and Ignatieff said that he was "stunned but touched". Question 5: Do you worry about having to boil down complex thoughts into 15 second sound bytes during an election campaign? He acknowledged that he needed to work at "getting it shorter" but found that voters wanted complexity on the doorstep. He feels that Canadians want tough and complex ideas so, for better or worse, that's what he intends to give them. Question 6: You have next to zero experience in politics and yet you are running to be Prime Minister? What is it about politics that makes a lack of experience no big deal for an individual trying to reach the top? Ignatieff replied that he had plenty of experience, being a delegate at the 1968 leadership convention thus making him the "only candidate with experience at a brokered convention" [Note: That seems like a bit of a stretch to me. I mean, just because I've eaten a Big Mac, doesn't mean I'm qualified to be CEO of McDonald's]. He also commented on his international experience, having been to Afghanistan and around the world. He then acknowledged that no one has a perfect resume in this race and he's aware that he's "not Superman". All the candidates have limitations, but he feels he can overcome his. Question 7: How does it feel to be the frontrunner in this race? Ignatieff was more adamant about this question than for any of his other answers - he is NOT the frontrunner!!! He repeated this numerous times so I think it's abundantly clear that he's afraid of becoming the victim of an anybody but Ignatieff campaign. He said it will be a long race which will go to the convention floor and that it's ridiculous to call anyone the front runner in a contest like this. He also said that candidates will have to behave and that he "can't kick Gerard in the teeth" since it will all be about getting other people's support. It will be "up to the delegates, not to Craig Oliver" (I can certainly see why he used that name, after watching the interview he had with Craig Oliver on QP Sunday...). I found Ignatieff a lot more charming in the interview than I had the day before at the debates, or during any of the previous times I'd heard him speak. I'm extremely grateful to have had the chance to give the interview and, if he does win, it will sure make a great story for me to tell over and over again until I bore my non-political friends to death with it. That said, speaking as a Liberal delegate, rather than a blogger, he couldn't win me over to his leadership camp. Despite all the comparisons to Trudeau and all the talk about "vision" among his supporters, I just haven't seen or heard any single compelling reason to support the guy. And I certainly haven't seen anything to make up for the lack of experience or the fact that he checked into the Sutton with so much political baggage that it would take a dozen bellhops to carry it. Still, I'm glad he's a Liberal and I wish him the best of luck in this leadership race. It's nice to see accomplished individuals like Ignatieff and Dryden running for public office. Liberal memberships now available online! Convention highlight: Joe Volpe mentions Fort McMurtry. Also, there's extensive coverage on Gauntlet.ca, and I'm sure Nicole Martel will have something up in the near future. In other leadership news, you can read this piece on the one candidate who did not show up in Edmonton this weekend. "Like a once-rich man desperate to be rich again, we have gotten impatient, spoiled by our own success. The relentless discipline that got us here now bores us; everything must happen fast. So we wait for a moment - one game, one play - to trigger the "roll" that will sweep us along and make the rest unnecessary. But it won't happen that way." Background: He won’t have a 40 year political career, but if his history is any indication, he’ll make the most of his time in politics. In a seven year NHL career, Dryden won 6 Stanley Cups and 5 Vezina Trophies. But the guy is more than an ex-Jock. His NHL career was cut short to pursue his studies and a law degree, and he has written several award winning books. He was Toronto Maple Leafs President from 1997 to 2004 before bolting for the Liberals, no doubt desiring a return to a winning organization. Political History: Long courted by political parties, Dryden ran for the Liberals in the riding of York (which must have been like playing goal for the Habs, in that, you’d have to really mess up to lose). After the 2004 election, Dryden was named Minister of Social Development, where he helped launch what the LPC would argue is a national childcare program. Rejected Endorsement: TV Networks salivating at a Dryden-Harper debate. In Person: Ken Dryden is not a politician. I went to a fundraiser where Ken Dryden was the guest speaker a little over a year and a half ago and instead of working the room, Dryden would stand by himself in the corner, waiting for people to come up to him. He’d then earnestly talk to them for great lengths. I don’t think I’ve ever met a more genuine politician but he's certainly not "smooth" by any means. Pros: 1972 Summit Series alumni. Has connections to Canada’s two solitudes (Habs and Leafs fans). Universally respected and bright. Cons: Not exactly a fountain of youthful charisma. His French is surprisingly weak. 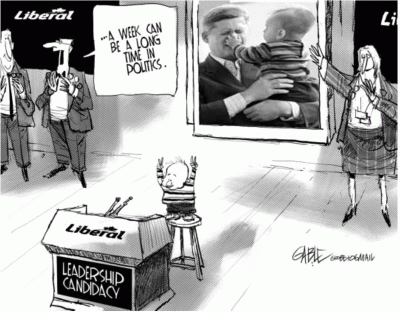 My Take: It’s not strange that the Liberal Party has a Hall of Fame leadership candidate. The strange thing is it’s taken this long for a former hockey all-star to rise this high in politics in Canada. At a time when people are cynical about politicians and the Liberal Party in general, Dryden would be an intriguing choice – an honest, respected, humble politician. Ken Dryden is a very thoughtful individual and while he may be one of the most boring politicians in Ottawa (ever? ), he can write quite eloquently and with enough coaching could at least match Harper when it comes to delivering a rousing speech. But could he be a party leader? It’s really hard to make that leap based on 18 months in Cabinet and Dryden certainly seems like an individual lacking political instincts and skills. Unless there is some major improvements in his speaking skills over the next few months, I just find it difficult to picture him as Liberal Party leader. Chances: His BC team is looking decent but he doesn’t have an overpowering organization nationally from the sounds of things. But I would never count out Ken Dryden. At a convention where Liberals may settle on a “consensus candidate”, Dryden stands a realistic chance of winning this thing because it is impossible to dislike Ken Dryden. A friend of mine in the Alberta Young Liberals asked me to hype the big policy project they've launched, so I figure I'll toss a link up to it. The document is called CA2020 and it lays out where the Young Liberals want to take the country over the next 14 years. I'm not sure I agree with all of the policies listed, but it's great to see some Liberals taking an interest in the policy renewal process of their party. Belinda says no to Liberal leadership. Good on Belinda for realizing that she wasn't ready for it this time around. She's saved herself some embarrassment by not running and will certainly play a key role in the next Liberal government/opposition. Hedy Fry says she's "85% there" in terms of running for Liberal leadership. It's hard to tell if it's an official announcement, but with Gerard Kennedy quitting his job as Ontario Education Minister today, I think we can add a third name to the confirmed candidate list. And Bob Rae took the equally daunting task of buying a Liberal membership today. If that isn't dedication to the Liberal Party, I don't know what is. From the sound of things, Michael Ignatieff and Stephane Dion will be joining the list of declared candidates on Friday, with most of the others to follow shortly thereafter. While it's foolish to handicap a race that will go at least four ballots, I think it's a safe bet that anyone from Dion, Dryden, Kennedy, Ignatieff, or Brison could win this thing. Stronach and Rae will do well but I just can't see any growth potential for them after the first ballot. That's where Dinning showed up last month, as part of his unofficial leadership campaign, to give a speech, which made the front page of the Wainwright Star Chronicle. "The one message, the one message, I continue to receive is that in Edmonton and Calgary there are one million people per city. There are a million and a quarter people in the rest of the province. On average, more of those million and a quarter people get up in the morning and break into a sweat than those folks in Calgary and Edmonton -- per capita," Dinning said. "The cities would be sucking slough water, if it wasn't for the hard-working people in the rest of the province." Dinning went on to compare the Queen Elizabeth II Highway to a bar linking the two ends of a dumbbell: Edmonton and Calgary. He then quoted a rural resident he'd met, who'd said: "If only we could get those two dumbbells to listen to the rest of us, we would have a much better province." Monday: Speak in Edmonton. Insult Flames. Tuesday: Speak in Calgary. Insult Oilers. Thiruvananthapuram, India -- An Indian movie director said yesterday he hopes to persuade Paris Hilton to play the role of Nobel laureate and prospective Catholic Saint, Mother Teresa, in an upcoming film. "Her features resemble Mother Teresa," director T. Rajeevnath told AFP from the southwestern coastal state of Kerala. The filmmaker said Hilton is on his short list after a computer-generated image showed a close facial match between the hotel heiress and the Albanian-born nun. Mother Teresa, who died in 1997, worked among the poor in the teeming slums of Calcutta, with the Missionaries of Charity. She was beatified by Pope John Paul in 2003. "A meeting with Paris Hilton is scheduled for the end of April," Rajeevnath said. It's official - Ralph will be resigning this September, likely setting the stage for a winter/spring 2007 leadership convention. Background: Maurizio was born in Sulmona, Italy. He received a Bachelor of Arts degree from York University. He's pretty much been a career politician. Political History: Maurizio is part of the Liberal class of 1988. Despite being the first MP to support Martin’s 1990 leadership bid, he made it into Chretien’s Cabinet as a Secretary of State, after a stint as a Parliamentary Secretary. Because of this unforgivable sin, and his unwillingness to take the knife to Chretien, Bevilacqua was snubbed from Martin’s Cabinet. He has spent the past few years as a former future Cabinet star. Pros: Young and bright, with a long history in the party. Hopefully he’ll find his way into the winner’s Cabinet. In Person: I had the opportunity to chat with Bevilacqua on the phone a few weeks back and I was genuinely impressed with the guy. He's got political experience and has a clear idea of where he wants to take the country. And it's hard not to by sympathetic to the guy after the way he got absolutely screwed over by Team Martin. Everyone I know who has met the guy in person has always been impressed with him. My Take: I like Maurizio and he certainly has a bright future in this party. Truth be told, he’s running to raise his profile, secure a Cabinet spot, and make a leadership charge next time. Because of that, I wish him the best of luck in this race, and it wouldn't at all surprise me to see him as Finance Minister should be Liberals return to the promised land anytime soon. Chances: Hopefully we’ll learn a lot about him during this race, but I just can’t see him winning this thing, unless something really weird happens at the convention. Of note, Chretien's former pollster, Michael Marzolini, is apparently on board. Frontrunner Jim Dinning utters little, except to say of the vote: "Voting delegates said something." 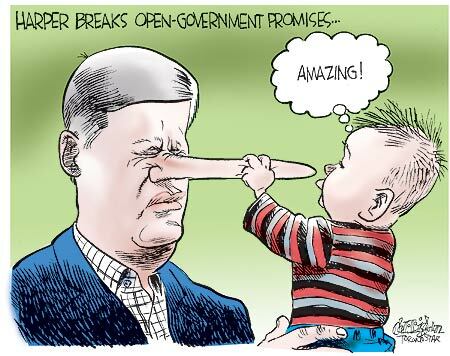 Harper promises to re-open constitution. In today's Calgary Herald, they ask some potential PC leadership candidates about their opinion on Alberta's third way. This is a golden opportunity for those who want to be Premier to explain their thoughts on this very important topic and where they want to take Alberta. In short, they can lay outa clear vision and give delegates a reason to vote for them. 1. In 50 words or less, what is the Third Way? 2. Do you support it? Yes, five other candidates explained their views on health care. Jim Dinning, meanwhile, felt that health care isn't really a major issue for Albertans right now. Jim Dinning has been wanting to be Premier for so long that he's forgotten why he wants to be Premier. I mean, does anyone out there know of anything Jim Dinning wants to do with this province? Has he given anyone a reason to support him, other than "I've waited a long time for the job". I won't name names but Dinning is reminding me more and more of another former Finance Minister who coveted the top job, but didn't really know what to do once he got there. Holy crap, I thought Harper would have better sense than to let it descend down to this. This government continues to dig it's grave day by day. Prime Minister Stephen Harper has announced that his communications office must get advanced drafts of all newspaper editorials and cartoons, and only those which they approve will be allowed to go to press. "In any free society, there must be limits on the media," said Sandra Buckler, Prime Minister Harper's spokeswoman. "The Prime Minister is loath to allow the media to print without any checks when they have demonstrated a rabid Liberal bias over the years." The new rules come after a string of negative editorials and unflattering comics in Canadian papers across the country. It is unclear what penalties will apply to newspapers who do not comply, or how many editorials the Harper PMO will veto. Expect a huge backlash over this and, possibly, attempts by the opposition to bring down the government. My only hope is that if we do get a premature election, that it will be Paul Martin leading the Liberals into battle. “Such an era seemed unattainable for so many years under the arrogant and neglectful federal Liberals,” he said. THE MORNING AFTER: My hunch is that Ralph isn't in great shape this morning, but I certainly feel fine. I would have actually preferred that he stay on since the longer he stayed, the more damage we'd see done to the provincial PCs. And, if nothing else, he's a damn entertaining guy. But I certainly won't shed any tears over his demise. Despite all Klein has done, the only way to explain such an incredibly low number is that the Jim Dinning people made it clear to their delegates that it was time to gas Klein. They were obviously a bit more discrete about it than Lyle Oberg, but Dinning must have got tired of waiting and decided to go for the jugular. So thanks for the memories Ralph - let the blood letting begin!